The popular Malaysia restaurant, PappaRich has opened its latest outlet at Plaza Singapura. Unlike the other outlets, PappaRich Plus offers additional items on their menu which will delight the taste buds. 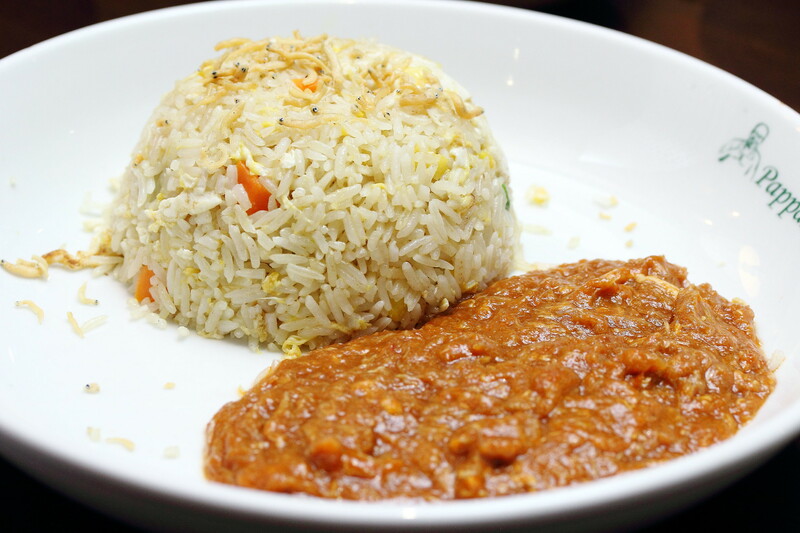 In the new meal at PappaRich Plus, is two fried rice dishes. This is suitable for people on a rush and still wanting to have something substantial. I tried both the Kampung Fried Rice ($10.90) and Sweet & Sour Crab Meat with Fried Rice ($11.90). 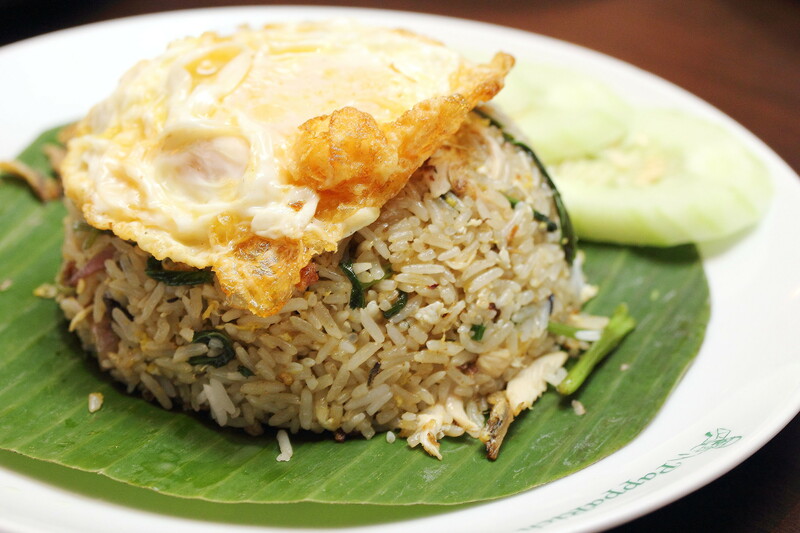 I preferred the kampung fried rice because of the aromatic wok hei coated in each grain. It may look rather plain and ordinary but this is one good yummy dish. The Ayam Masak Merah ($12.90) is one dish that I enjoyed a lot. 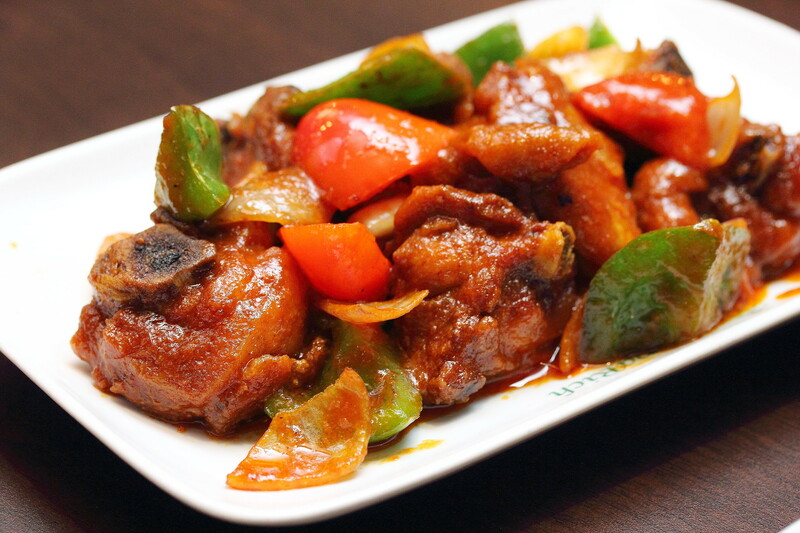 The succulent chicken was cooked in a special paste and topped with onion, red and green pepper. The highlight has to be the yummy sauce that accentuated the poultry. 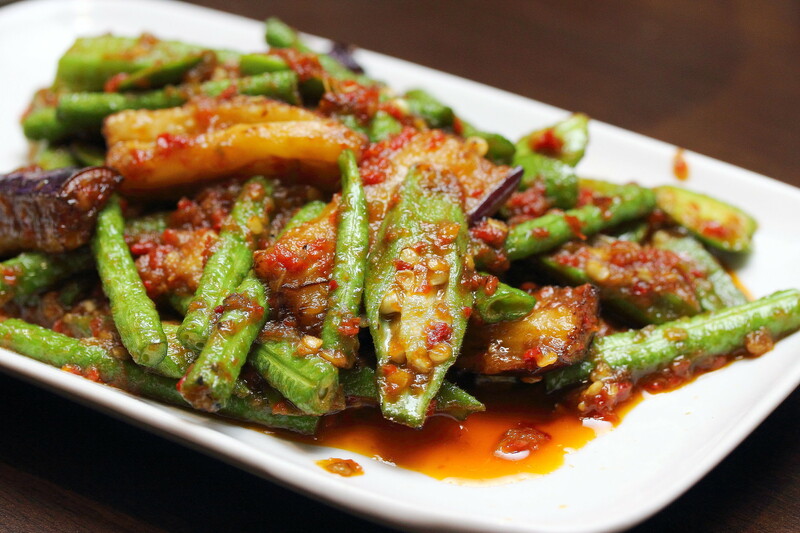 Sounds like a dish that is fit for the king but the Four Heavenly Kings in Sambal Belacan ($11.90) basically is just aubergine, lady fingers, long beans and four angled beans cooked with hot and spicy sambal concoction and fragrant dried shrimp paste. If you can take spicy you will enjoyed this crunchiness greens. 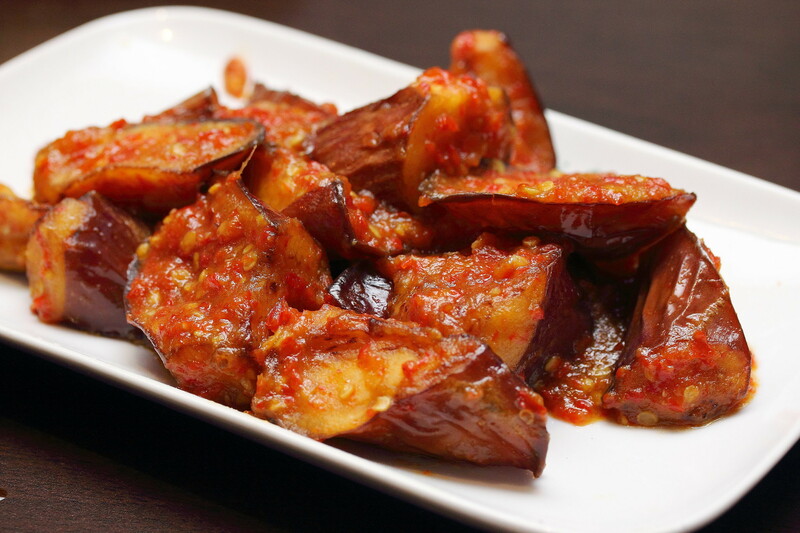 Another sambal dish on the menu is the Sambal Aubergine ($9.90) that is first roasted before being cooked in a hot and spicy sambal concoction. If egg plants are not cooked probably they can be mushy, however this still comes with a nice crunch with a thin crisp on the skin. Among all the new dishes, my favourite goes to the Curry Fish Head ($34.90) using red snapper fish. 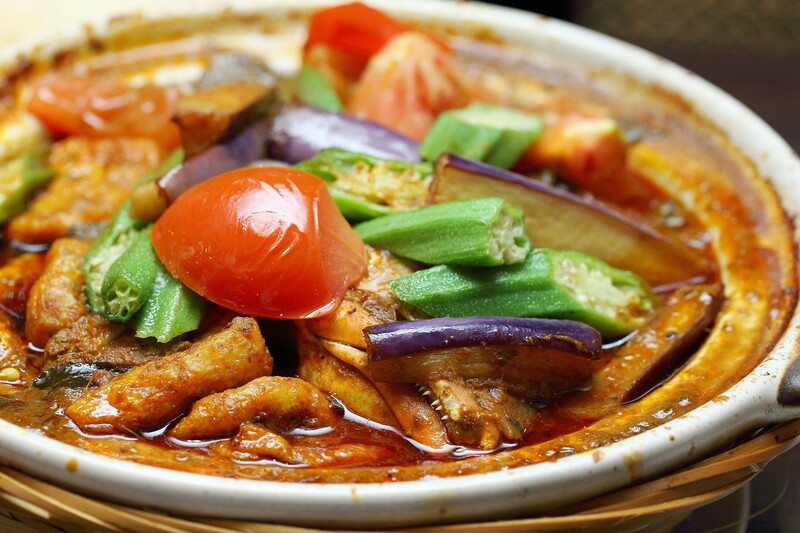 The curry fish head is served with lady fingers, tomato wedges and egg plants infused with a very aromatic curry spices of and fragrant coconut milk. I would say the curry is quite similar to the Indian version using over 20 different types of spices. 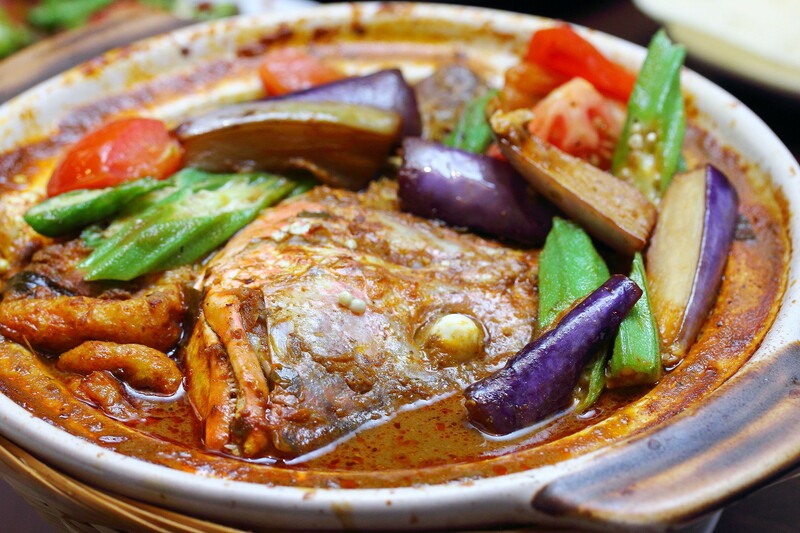 If you are a curry fish hed lover, this is one dish that is not to be missed. PappaRich also offers a selection of desserts on the menu too. 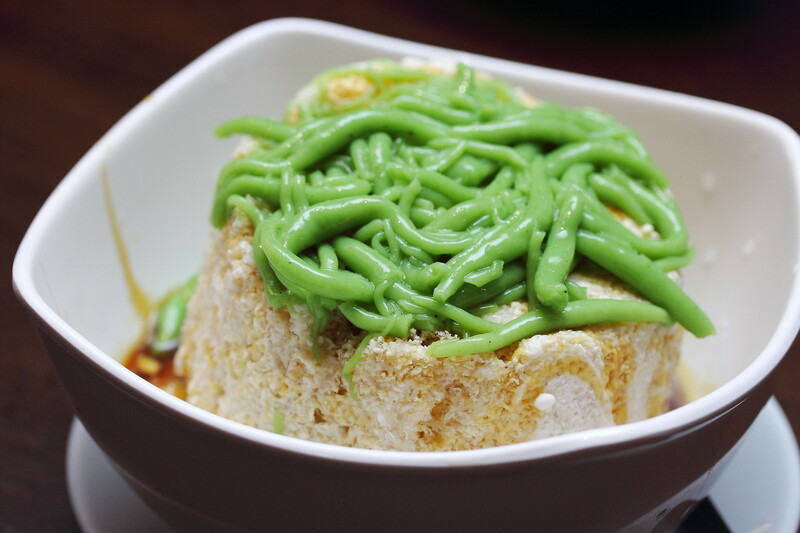 For the dinner tonight, I had the Chendol ($3.90) which was perfect for all the spicy food I had. Mentioned in my previous post when I visited PappaRich at Suntec, I like the quality consistency in the different outlets as well as the reasonable pricing. I am glad that they have added the new items. In fact I hope that it will be introduced across the different outlets too.